EVERYTHING ON TAP ON TAP SOLUTIONS FOR BEER, WINE, COCKTAILS & ALL OTHER BEVERAGES. 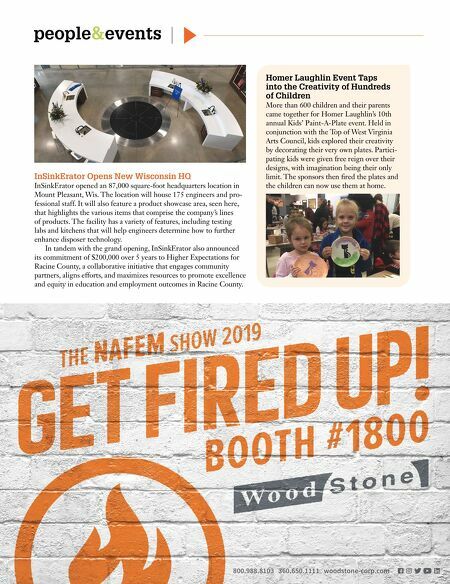 866.327.4159 | micromatic.com VISIT US AT BOOTH #2072 Customers want choice today. 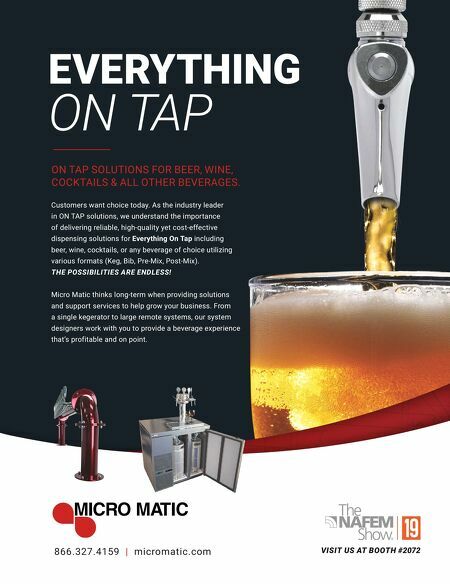 As the industry leader in ON TAP solutions, we understand the importance of delivering reliable, high-quality yet cost-effective dispensing solutions for Everything On Tap including beer, wine, cocktails, or any beverage of choice utilizing various formats (Keg, Bib, Pre-Mix, Post-Mix). THE POSSIBILITIES ARE ENDLESS! Micro Matic thinks long-term when providing solutions and support services to help grow your business. From a single kegerator to large remote systems, our system designers work with you to provide a beverage experience that's profitable and on point.